Definition at line 115 of file fci.c. Definition at line 119 of file fci.c. Referenced by add_data_to_folder(), add_folder(), free_folder(), and write_data_blocks(). Definition at line 110 of file filesystem.c. Definition at line 123 of file fci.c. Referenced by add_folder(), and write_folders(). Definition at line 120 of file fci.c. Definition at line 122 of file fci.c. Referenced by add_data_to_folder(), add_folder(), and write_folders(). Definition at line 121 of file fci.c. Definition at line 117 of file fci.c. 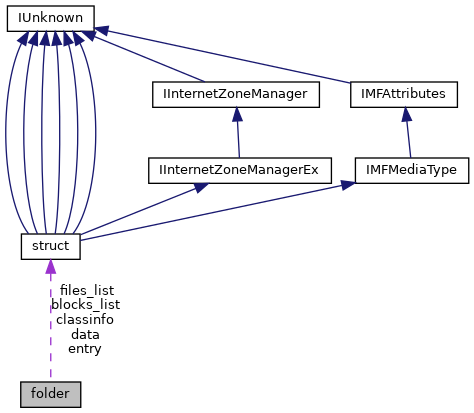 Referenced by add_folder(), free_folder(), free_package_structures(), and load_folder(). Definition at line 118 of file fci.c. Referenced by add_files_to_folder(), add_folder(), free_folder(), and write_files(). Definition at line 111 of file filesystem.c. Definition at line 113 of file filesystem.c. Definition at line 112 of file filesystem.c.